Fibromyalgia is a multi-factorial illness primarily characterised by widespread chronic pain and fatigue, with several symptoms and associated conditions. Due to a lack of clinical awareness and an absence of objective diagnostic measures, fibromyalgia patients often engage with online health information. The aim is to investigate the completeness and trustworthiness of the information available online on fibromyalgia. Google.co.uk was searched for ‘fibromyalgia’, the first 200 webpages were imported and 148 were analysed for standard health information quality criteria (JAMA score, HONcode) as well as completeness of information in terms of symptoms, causes and treatments mentioned. The most frequent typology of webpages was from health professionals (38%), with commercial websites being less frequent (7%). Overall, the quality, completeness and accessibility of online health information was poor. Completeness of coverage for symptoms, causes and associated conditions was especially lacking, with pages from not-for-profit organisations discussing the highest number of symptoms (median 8, min 0, max 11, interquartile range, IQR 4.5; n = 14) compared to the rest of the websites in the search engine results (median 4, min 0, max 11, IQR 4; n = 134). Mean readability was grade 9 (median 9, min 1, max 18, IQR 3), with only 8% websites meeting the recommended readability of grade 6. The Internet provides incomplete information on fibromyalgia, which does not fulfil the most queried aspect(s) by patients, symptoms, and may be difficult to understand by lay persons. Not-for-profit organisations provide the most complete information compared to other types of websites. Fibromyalgia is a multi-factorial illness primarily characterised by widespread chronic pain and fatigue [1, 2, 3, 4, 5, 6]. It is also associated with cognitive impairments  and affective symptoms such as changes in mood, depression and anxiety disorders [2, 3, 4, 5, 7]. Associated systemic problems include irritable bowel syndrome/change of bowel habit and bladder symptoms [2, 4, 7]. Headaches, sleep and skin disturbances are also reported, as are coordination problems, muscle weakness, hair loss, fever, dry eyes and mouth and sensory sensitivity . It is estimated that between 1 in 20  and 1 in 25  individuals are affected. Many more may suffer from fibromyalgia in the absence of a formal diagnosis, due to its complex and heterogeneous expression , a lack of clinical awareness and an absence of objective diagnostic measures . Therefore, individuals with fibromyalgia can be easily dismissed, stigmatised and left alone to self-manage their illness [10, 11, 12]. Fibromyalgia patients report a preference for engaging with online health information . Associated stigma and engagement preferences may account for recent reports suggesting ‘fibromyalgia’ as the most common medical search term within the UK , with ‘fibromyalgia symptoms’ of primary interest according to Google trends on 14/8/2018. The availability of online health information may help to improve patient engagement with professionals and treatment options [1, 15]. This can be empowering to patients, but many argue that the quality of online information is often poor and presented in ways that can increase the likelihood that content may be misunderstood [1, 16, 17]. To the best of our knowledge, only one 2011 study has considered online health information specifically for fibromyalgia patients, analysing 25 webpages for quality and readability . Content analysis was restricted to reporting on types of information included rather than considering the completeness of content. Information was found to be inconsistent, incomplete and open to misinterpretation, with the author recommending that health professionals ought to assist fibromyalgia patients in accessing quality information . This study was designed to build on and address key gaps in knowledge of online health information quality on fibromyalgia, with two aims. The first aim of the study was to understand the completeness of the information in terms of symptoms, causes, associated conditions and treatment coverage. The second aim was to assess the trustworthiness in terms of standard health information quality instruments such as the Journal of American Medline Association (JAMA) score  and the presence of the Health-on-the-Net (HON) certification , as well as their readability. A search of google.co.uk was carried out in October 2018 from Brighton, UK, using the search term “fibromyalgia”. We used a neutral term to have a broader sample of the webpages on this topic. To limit personalisation of search results due to the potential influence of previous browsing history, we cleared cookies and browser history immediately before the search. We used Google, as it is the primary search engine of 80% of individuals in the UK . The first 200 results were downloaded and visited, as this sample size chosen as in previous studies was found adequate to perform statistical analysis [20, 21]. Of these, 52 were excluded based on exclusion criteria. These included the need for registration or payment to access the website, dead pages or pages with irrelevant information (for instance, this page that has no reference to fibromyalgia was returned: https://www.mclaren.org/centralmichigan/health-information/6887.aspx). We also excluded fora and dynamic pages or indexes generated ad hoc (e.g. : https://www.pinterest.co.uk/explore/fibromyalgia/). The remaining 148 webpages were analysed as described in the flowchart in Fig. 1. We classified webpages according to the typologies of the website with webpages not fitting any of those classified as “others”. The typologies used were the following: commercial, C (websites selling products or services, e.g. amazon.co.uk, igennus.com); government, G (e.g. nhs.uk, womenshealth.gov); health portals, HP (websites providing a wide range of health information only, e.g. webmd.com, thehealthsite.com); news, N (e.g. theguardian.com, bbc.co.uk); Not-for-profit, NP (e.g. ukfibromyalgia.com, arthritiscare.org.uk); professional, P (organisations or individuals with professional medical qualification, e.g. mayoclinic.org, circlehealth.co.uk); scientific journal, S (academic publications, e.g. bmj.com, jneurosci.org). Webpages were then analysed as follows. Firstly, we explored the completeness of the fibromyalgia information in terms of symptoms, causes, associated conditions and treatment coverage. Secondly, we assessed trustworthiness in terms of standard health information quality instruments such as the Journal of American Medline Association (JAMA) score  and the presence of HONCode certification , as well as their readability. For content analysis, mention of the following was recorded: symptoms, causes, associated conditions and therapies. These lists were compiled based on the content analysis, and only headings mentioned at least five times were considered. To assess standard information quality measures, webpages were then given a JAMA (1–4) score based on the presence of four criteria (indication of date, references/sources, authorship and ownership) . The presence of the HONcode quality stamp  or the Information Standard stamp accredited by the UK National Health Service was also recorded. If a criterion was not visible on the initial web page, the three-click rule was used, where if a specific feature could not be found within three clicks, the web page was given a score of 0 for that criterion. Web page readability was assessed using a standardised online tool (https://www.webfx.com/tools/read-able/) as described previously  and expressed as reading grade (the higher the grade, the more difficult). Statistical analysis was performed with GraphPad Prism 7.04 for Windows using the tests described in the text. The number of symptoms mentioned in a specific typology of websites was compared with the rest of the search, rather than the whole search, to avoid comparing overlapping data. To compare two groups, non-parametric tests were used, a two-tailed Mann–Whitney test for comparing two groups and a two-tailed Kruskal–Wallis test in case of multiple comparisons. Frequency of typologies of websites in the first ten results in the Google search were compared with that in the rest of the search, using a two-tailed Fisher’s exact test. The level of significance was set at P < 0.05. Ethical approval was not sought because this research did not involve human participants. Of the 148 webpages analysed, most (56%) were professional websites (hospitals, universities, professionals with a degree in a medical speciality), with all other typologies equally represented (Table 1). Interestingly, in the top ten results from the Google SERP, professional websites were not present, but websites from news outlets and not-for-profit organisations were more represented in comparison to the SERP as a whole. However, this should be only considered a trend, as none of these differences were statistically significant when the frequency in the top ten results was compared with that in the rest of the SERP using a two-tailed Fisher’s exact test. Table 2 reports the most mentioned symptoms, causes and associated conditions. Across webpages, a total of 12 symptoms were reported, with pain and fatigue the most frequently mentioned. We then analysed each webpage to find how many of these symptoms, causes and associated conditions were mentioned, to assess its completeness. The frequency distribution of webpages according to their completeness is reported in Fig. 2. It can be seen that symptoms (Fig. 2a) have the most complete coverage (median 5, min 0, max 11, IQR 5), although 31 webpages (21%) mentioned only zero to one symptoms. Coverage of causes (Fig. 2b) or associated conditions (Fig. 2c) was lower, with very few websites mentioning more than one (causes, median 1, min 0, max 10, IQR 4; associated conditions, median 1, min 0, max 7, IQR 2). Because symptoms are the most frequently searched content, we analysed their coverage across different typologies. Websites from not-for-profit organisations had the highest number of symptoms described (median 8, min 0, max 11, IQR 4.5; n = 14). These were followed by news (median 5.5, min 0, max, 11, IQR 3.5; n = 16), health portals (median 5.5, min 1, max 9, IQR 6; n = 12); commercial (median 5, min 0, max 8, IQR 5; n = 11); government (median 4.5, min 0, max 11, IQR 6.25; n = 14); professional (median 4, min 0, max 11, IQR 5; n = 56); and others (median 3.5, min 1, max 11, IQR 3.75; n = 12). When the number of symptoms in not-for-profit websites was compared with the value of the rest of the websites in the SERP (median 4, min 0, max 11, IQR 4; n = 134), the difference was statistically significant (P = 0.003 by a two-tailed Mann–Whitney test). Table 3 lists the treatments that were described by the webpages analysed. Overall, the treatments most frequently mentioned were those related to lifestyle interventions, followed by medications and non-pharmacological treatments (such as cognitive behavioural therapy, physiotherapy, counselling and occupational therapy). There were 70 treatments related to complementary and alternative medicine in total, including acupuncture, massage, relaxation, chiropractic, balneotherapy and others. Thirteen websites described various supplements. The JAMA score of the 148 websites ranged between 0 and 4, with a median of 2, IQR, 2. Only 63 webpages (43%) met the quality threshold of ≥ 3 . Seventy-nine websites (53%) displayed the HONcode stamp, whilst only 5/148 (3%) had the UK NHS IS stamp. Mean readability was grade 9 (median 9, min 1, max 18, IQR 3), with only 8% websites meeting the recommended readability grade 6. There were no differences in readability between websites from different typologies, with the exception of news (median 6, min 6, max 11, IQR 1) which had a significantly better readability (P = 0.004 by two-tailed Kruskal–Wallis multiple comparison test) compared to professional websites (median 10, min 3, max 18, IQR 2). News also had higher readability when compared with the rest of the search (P < 0.001 by two-tailed Mann–Whitney’s test). As users often only look at the first webpages listed in the SERP, we analysed the completeness of information in terms of Google ranking. 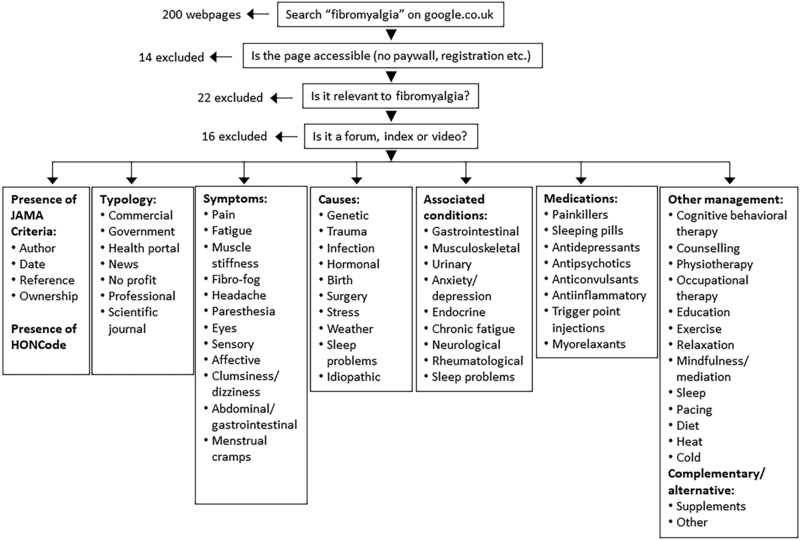 Figure 3 shows the completeness, in relation to symptoms (A), causes (B), associated conditions (C) and therapies (D) listed by the top ten websites in comparison to those in the rest of the SERP (11–200). It is clear that, in general, Google ranks webpages providing more complete information highly. On the other hand, there was no difference between the top ten websites compared to the rest of the SERP in terms of JAMA score or in the proportion of websites mentioning complementary and alternative medicine as a therapy (not shown). Readability was slightly higher in the top ten results compared to the rest of the search: top 10, (median 8, min 4, max 10, IQR 2.5) versus 11–200 (median 8, min 1, max 18, IQR 3); P = 0.044 by a two-tailed Mann–Whitney test. 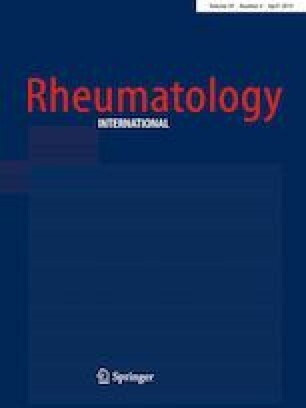 This study investigated the quality of information available online in relation to fibromyalgia, primarily assessing the completeness of content. We found that the completeness of content (symptoms, causes, associated conditions and treatment management) was poor both within and across webpages, consistent with the findings of a previous study . Our findings suggest that fibromyalgia webpages may misinform those that rely on them and we make suggestions of ways online information can be improved. As the mechanism of fibromyalgia is not fully understood, one might expect that webpages would report that the cause of fibromyalgia is still unknown and that neurological and endocrinological conditions, which are thought to have a central role [7, 22], would be frequently mentioned. However, this was not the case. Many of the ten possible causes listed in webpages were consistent with existing literature , but top findings did not mention ‘idiopathic’ as a cause, hormonal causes accounted for only 7% of causes mentioned and neurological causes were not listed. Endocrinological and neurological disorders accounted for just 13% of all associated conditions listed. This lack of clarity may result in patients attributing their illness to something unrelated and potentially withdrawing from activities they consider may be causing or exacerbating their illness. We found a total of 12 symptoms reported across webpages and have the most complete coverage. Fibromyalgia is reported to be associated with as many as 41 symptoms . However, we found that 21% of websites mentioned only zero to one symptoms. The lack of symptom reporting may thus lead those with fibromyalgia to unnecessarily return to their physician, requesting further assessments, and for some to suspect they have fibromyalgia when in fact they do not. Due to the complexity of symptoms associated with fibromyalgia, and their crossover with other conditions (for example, multiple sclerosis or lupus), webpages may also wish to report what alternative conditions need to be excluded prior to a diagnosis of fibromyalgia. The variation in the number and frequency of reported symptoms found within our study may reflect changes to the diagnostic criteria for fibromyalgia [23, 24]. Whist there is no gold-standard assessment criteria, physicians are currently advised to consider a diagnosis of fibromyalgia when widespread pain persists for 3 months or more and symptom manifestation demonstrates challenges in six areas: fatigue, waking unrefreshed, cognitive symptoms, headaches, abdominal pain and depression [23, 24]. We found that over half of the symptoms mentioned in webpages were pain, fatigue, ‘fibro fog’ and muscle stiffness. These symptoms have been well reported in the literature [7, 13] and, with the exclusion of muscle stiffness, all are present in current diagnostic considerations . However, some symptoms associated with fibromyalgia (for example, [23, 24]), were rarely, if at all, discussed in online health information including: muscle weakness, chest pain, fever, wheezing, Raynaud’s phenomenon, hives/welts, heartburn, oral ulcers, seizures, shortness of breath, loss of appetite, rash, easy bruising and hair loss. There is currently no cure for fibromyalgia and its treatment focuses on increasing patient functioning and alleviating pain and other symptoms . As such, patient engagement in the management of fibromyalgia may be primarily improved with greater awareness of symptom manifestation. A lack of reporting of the full range of potential symptoms may have further implications for patients. Some argue that clinical and employment outcomes can be improved with greater public awareness and education , the Internet being one mode of public education . Patients already experience high levels of stigma from employers  and the general public [10, 12]. Whilst the Internet could play a role in reducing this stigma and educating the wider public about the condition, the currently limited information available may reduce access to accurate information, perpetuating stigma and leading to frustration for patients. A second aspect is the information quality of websites according to standard indicators. The majority of studies of health information on fibromyalgia were included in research on chronic pain and found that quality and readability were poor and lacked information surrounding the completeness of fibromyalgia [17, 28]. However, potential indicators of quality were not suggested. We did not find HONcode stamps or JAMA scores to be reliable predictors of content quality or accessibility. In terms of readability, only 8% of websites meet the recommended reading grade of 6 , compared to 16% in a 2011 study . This indicates that this aspect of information quality regulation has not improved. Finally, we found the most complete webpages tend to be those from not-for-profit organisations. Patient education is recommended across treatment guidelines produced by the American Pain Society, the Canadian Pain Society and the Association of the Scientific Medical Societies in General European League Against Rheumatism . The revised EULAR recommend patient education in the primary instance, with additional treatments considered based on patient needs . As we found not-for-profit webpages to be the most complete, these may be pointed out to future patient as a useful resource. Our findings also suggest the Google algorithm may rank webpages according to the completeness of information. Therefore, improving completeness of content is not only important for fibromyalgia patients, but also for developers seeking to improve the ranking of their websites. The results of this research, in line with pre-existing recommendations [16, 26, 28], suggesting that future quality assessments may wish to include detailed reviews of content completeness. Some limitations must be acknowledged with regard to this study. Firstly, only one key word, ‘fibromyalgia’, was searched. Future research may wish to expand the number of key terms and search engines/platforms used. Engagement with patients may aid in this. Secondly, due to the nebulous nature of fibromyalgia , this study was limited as we did not assess scientific accuracy, instead retaining a focus on the total number of symptoms, causes, associated conditions and treatment reported within and across webpages. As the understanding of fibromyalgia grows, more structured research may be completed. In particular, the classification used for recording treatments in this study does not make any judgement of the level of evidence (in terms of evidence-based medicine) for the efficacy of each treatment. For instance, we have put both acupuncture and balneotherapy under complementary and alternative medicine, although the level of evidence for them may be different. Although there are reports that some of them may be useful, both are given a “weak” recommendation by the European League Against Rheumatism (EULAR) guidelines , and the current UK National Institute for Clinical Excellence (NICE) described acupuncture as complementary or alternative treatment (“some people find that certain treatments help them to relax and feel less stressed, allowing them to cope with their condition”) and hydro/balneotherapy can be used to help cope with the pain of fibromyalgia . In conclusion, our study shows that the completeness of online information with respect to symptoms, causes, associated conditions and treatment of fibromyalgia is poor and content may be inaccessible and open to misinterpretation. The study suggests potential indicators of website quality and completeness, and provides recommendations for organisations whose websites have pages aimed at informing patients with fibromyalgia. Improvements to these areas may begin with improved reporting of symptoms associated with the condition, and this information may aid patients in contributing to treatment decisions. Improving content with respect to symptoms may lessen the stigma these individuals are known to face by helping the general public understand associated limitations. Webpage developers may improve this information by potentially drawing from listed symptoms associated with early fibromyalgia diagnostic criteria. They may wish to engage with patients in the write-up of webpages to ensure that as little technical jargon as possible is used and content is accessible. The information quality indicators identified here have the potential to be used in connecting patients and the general public with quality information, leading to improvements surrounding clinical outcomes, patient engagement, harm reduction and public support. DB, JE and PG designed the study; DB, MF and PG analysed the data; DB, MF, JE and PG wrote the manuscript. All authors read and approved the final version of the manuscript. The authors have no funding to declare. Deepika Basavakumar declares that he/she has no conflict of interest. Mirika Flegg declares that he/she has no conflict of interest. Jessica Eccles declares that he/she has no conflict of interest. Pietro Ghezzi declares that he/she has no conflict of interest.